Twenty-three owners of neighborhood Chinese restaurants in Philadelphia have filed a federal lawsuit alleging "invidious discrimination against certain Chinese people and their Chinese take-out restaurant businesses in Philadelphia," through the passage and enforcement of the city's "11 p.m. ordinance." The owners say the law was approved by City Council, signed by then-Mayor John F. Street, and later updated "with the intent to target and discriminate" against them and their businesses. They also say that it is illegally "vague" and forces people to "guess" at its requirements" and that the law has been "selectively enforced" in violation of federal equal-protection guarantees. The 142-page lawsuit alleges that police shut and fined Chinese restaurants and seized customers' food, while not acting against nearby non-Chinese pizza, fried chicken, cheesesteak, McDonald's, and other sandwich shops that stayed open past 11. The suit cites more than 40 pizza restaurants by name, which it says were never cited for their late hours, while nearby Chinese restaurants were targeted with repeated citations. 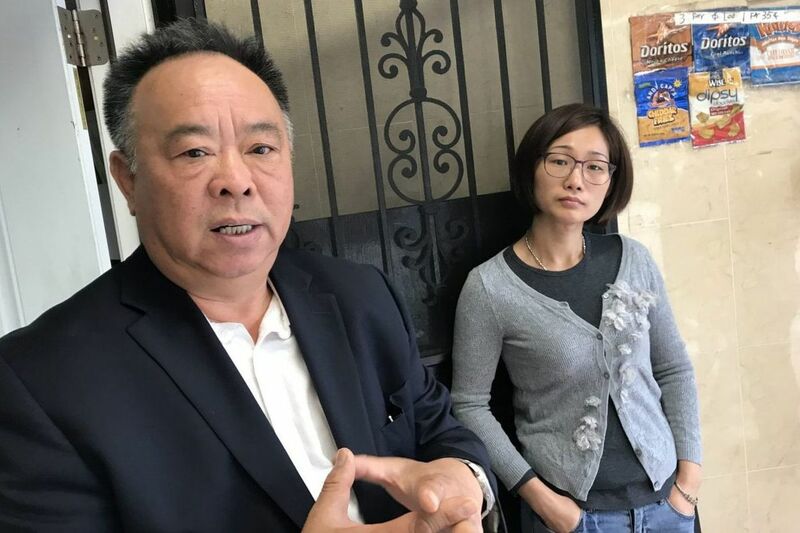 Three plaintiffs — Bi Wen Liu, who owned China Clover restaurant near Wayne Junction; Xiu Ju Zhuang, who owned DY's Express in South Philadelphia; and Ling Lin, who owned Good Taste Restaurant in West Philly's Cobbs Creek section — say they have been forced to close by the costs of coping with selective enforcement of the law. Two others said they have been forced to sell their restaurants. For the rest, "the unconstitutionally vague 11 p.m. ordinance and its selective enforcement" has cost restaurant owners "thousands of dollars in fines as a result of discriminatory code violation notices," the suit says. Restaurant owners have said police have been repeatedly sent to restaurants where they levy citations with fines even when previous complaints have been thrown out of court by city judges. City officials and Philadelphia police officials have said in the past that they take the owners' complaints seriously and have reviewed enforcement to make sure it complies with the law, after incident reports compiled by City Councilman David Oh last year showed the law has been used almost exclusively against Chinese restaurants. Oh's data showed officers issued 583 code-violation notices under the ordinance in one 12-month period; of those, 562 were to Chinese restaurants — more than 95 percent. Many businesses had multiple tickets. Of the 158 ticketed, 142 were Chinese — 90 percent. The law, passed by council members who said they were trying to prevent retail businesses from attracting late-night criminal activity, requires retail businesses on blocks that are at least 80 percent residential to shut at 11. That proportion can be tough for police to calculate and interpret on thousands of Philadelphia blocks that include a mix of stores and homes, plus vacant properties, empty lots, apartments over retail stores, and single-family homes cut into apartments. The lawsuit cites examples where different police officers came up with very different store and home counts for the same blocks. Oh has complained the law's ambiguity allows politically active neighborhood residents to pressure police to punish the owners and operators of Chinese restaurants, even in partly or mostly commercial blocks, for reasons that have nothing to do with public safety, including personal grievances, business competition, or animus against immigrant restaurant operators who put in long hours. The lawsuit alleges that a review of City Council testimony in hearings on the law's passage quotes a former council member, Rick Mariano, tying Chinese restaurants to drug paraphernalia or alcohol sales, but points out that none of the plaintiffs' restaurants sold those things. A separate city ordinance gives city inspectors the power to regulate Plexiglas-type restaurant counter barriers, another move critics have said was directed against Asian immigrant owners concerned with the threat of robberies and shootings. After hearing complaints, City Council President Darrell Clark proposed reducing maximum fines under the 11 o'clock law. But Oh and leaders of the Chinese Restaurant Association said that didn't solve the threat of unequal enforcement. The lawsuit was filed by attorneys Jeremy D. Frey, Benjamin J. Eichel, and Katherine B. Puccio at the law firm Pepper Hamilton LLP, Philadelphia, and by Jerry G. Vattamala and Patricia Yan of the Asian American Legal Defense Fund, New York. After Oh's findings were made public, city officials temporarily cut back on enforcing the 11 o'clock ordinance. But "in about mid-2018, the selective discriminatory enforcement" against Chinese restaurants and their owners resumed, the suit alleges. Hey this is highly racist! They should draw up residential zones, you can only report an entire zone not any individual Asian business.